So I am looking for a chrome birth light made by seadog. If any one has one of these that they are looking to part ways with please PM me with your email address. Or if you have one or two of something that is similar looking let me know as well. The pictures below shows what I am looking for. 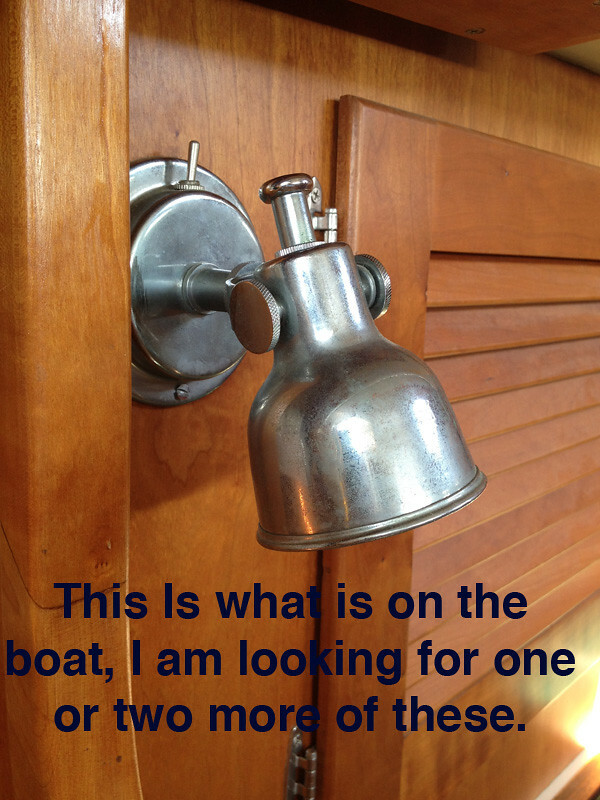 I have a new in box one that is a brass finish version, but this does not match the other ones installed in the boat, I would be open to trading the brass one for a chrome one.